We're Conserving Energy in our Buildings! We're celebrating Earth Day this year at each of our apartment buildings! 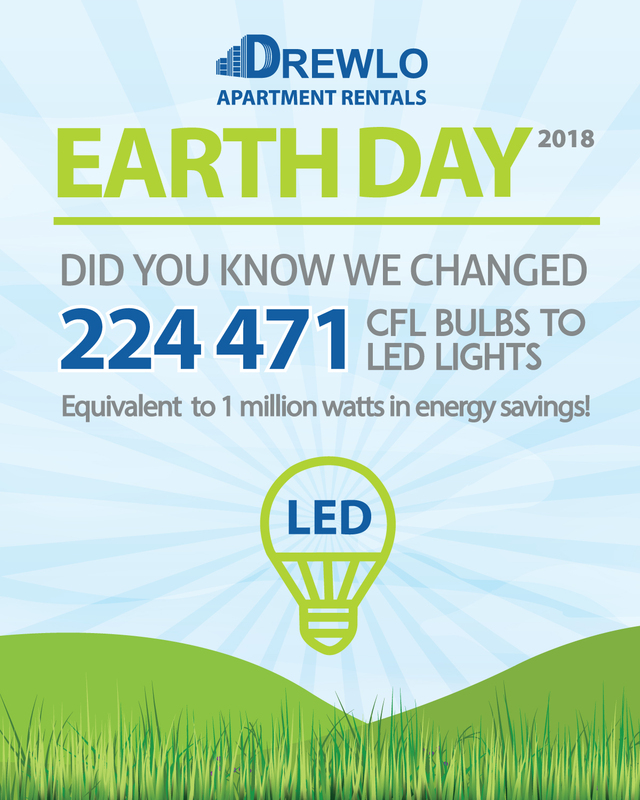 This year we managed to change 224 471 CFL light bulbs to LED Lighting. That change helped conserve more than 1 million watts in energy! Additionally, we changed our parking lot lighting fixtures to LED fixtures that consume less than half the amount of energy!